The web browser on Kindle Fire introduces a radical new paradigm — a "split browser" architecture that accelerates the power of the mobile device hardware by using the computing speed and power of the Amazon Web Services Cloud. The result is a faster web browsing experience, and it’s available exclusively on Kindle Fire. There are few major tweaks in Google Chrome. 1. Bookmark button (Yellow star) moves to the right side of the address bar. 3. Location tracking indicator comes to Chrome’s address bar. 4. Refresh button and Home button interchanged in the browser bar. 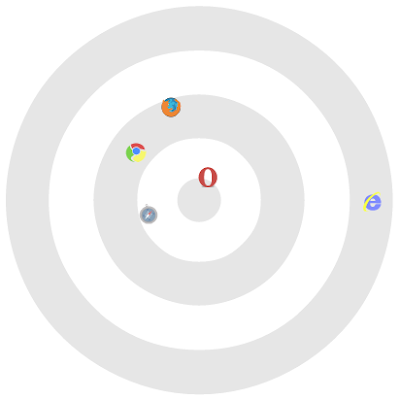 Google Gears lets your browser to get more power/performance. Gears also brings Geo location API to the browsers. The browser get the Current Geo location of the user through Gears. Chrome browser which obviously uses Gears, now adds a “location tracking indicator” to the Address bar. It can test your browser and will let you know the number of failures (among 5000 test cases). Opera 10.5 wins the test with just 78 failures (in 5000 test cases). Safari 4 comes next with 159 failures, Chrome 4 : 218, Firefox 3.6: 259 failures and Internet Explorer 8: 463 failures. When I read many of the blogs, news stories, comments of some articles, I come across situations when I want to goto a URL/Link provided in the stories. If the URL, contains a hyperlink to the same URL (like, http://www.google.com), it is very easier to go there, i.e I just need to click it. 3. Paste the URL and hit enter. That was what I was doing, while using IE or Firefox, but not in Google Chrome. In chrome, when I see any URL, with no hyperlink to it, I just select the URL, right click, and click on Go to [URL] button, and thats it, I reach the page. Try it yourself and let me know how do you feel. Not installed Chrome yet, Download Google Chrome beta ! 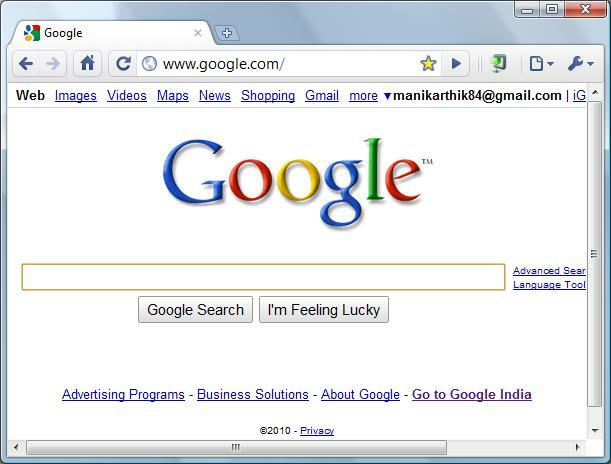 I’m using Google Chrome not only for internet browsing. I wanted to call my friend in Florida and I want to know the time there. I opened a chrome window, typed “time in Florida” in the address bar, (called as omnibox), and pressed enter. 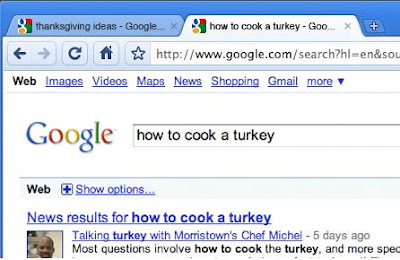 I get the time from Google search results. And, when I need to do a simple calculation (68 * 569 – 45), I used to go to Windows Calculator, or MS Excel. I dont even need to press enter, and request Google to make the calculation (well, that also works fine). The result appears immediately below the saying = 38647. All said, Chrome can’t do all these, without an internet connection. Much more to explore. Hold On! Not yet installed chrome? Download now! iPhone and Android phones have the applications for Facebook, Twitter, Flickr, Orkut and more. I always wanted such apps for my PC, since I need not go to all the webpages from my browser. Today, I installed the Flock browser, through which, you can stay connected with Facebook, Twitter, Myspace, Youtube, Flickr and more. 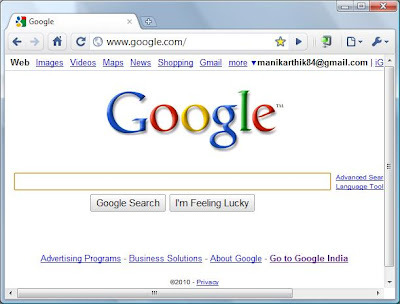 And, you can check all your emails (GMail, Yahoo, AOL, etc) from the browsers button. Once you login to your Facebook and Twitter accounts, the People Sidebar in the Flock browser keeps you updated about your friends information from these accounts. You can update your facebook status and also tweet from this People Sidebar. The about:myworld page in the Flock browser has more news about your Twitter updates (from whom you follow), Favourite feeds and more. The browser also has a built in Facebook chat bar at the bottom. We can directly upload photos and videos to Facebook through flock. The media bar can connect you with recently uploaded photos from Flickr, Photobucket, Youtube, Facebook and more. It also provides the recently digged articles from the Media bar.